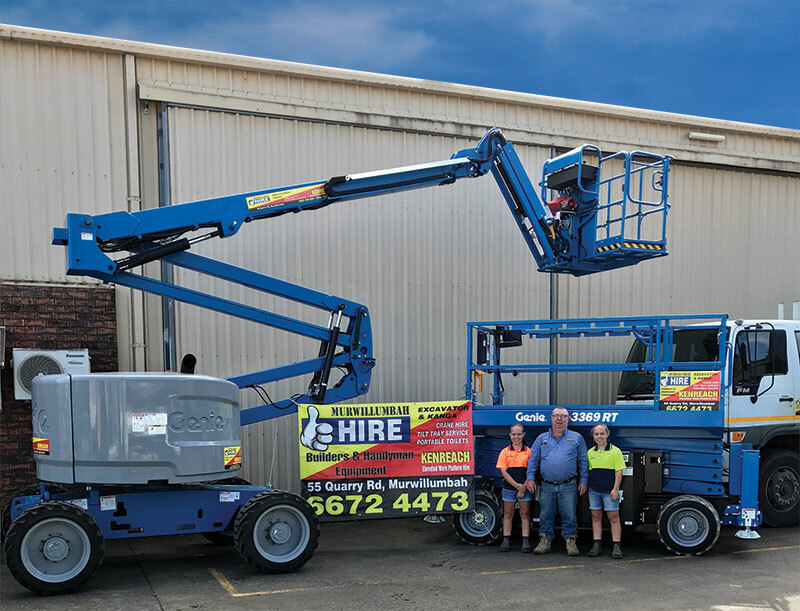 Not exactly a newcomer to acquisitions, the enterprising Sanderson purchased Murwillumbah Hire in 2013, before opening Kyogle Hire three years later. Recently, Sanderson assumed the reins at Casino Garden and Landscape Centre. He has since shifted his Kyogle Hire business in its entirety to Casino and renamed the combined operation, Casino Hire, and Landscape Supplies. A loyal customer of Genie since 2005, Sanderson’s first purchase was a Genie® TZ™-34/20 trailer-mounted boom for Kenreach Hire. “Ken also bought booms, including the Genie Z®-45/25 RT and a Z-51/30J RT models,” said Brent Markwell, Genie Regional Sales Manager NSW/ACT, Terex AWP. The Murwillumbah floods in March 2017 caused some damage to Sanderson’s fleet. “Genie machines replaced many of the damaged units, including the Genie Z-62/40 articulating boom,” noted Markwell. Accordingly, the majority of the Kenreach fleet are Genie machines, apart from the firm’s telehandlers. Also, ideal for other modes of outdoor construction, the Genie Z-62/40 articulating boom lift provides lifting versatility with a combination of up, out and over positioning capabilities with an outreach that’s second to none. “Its compact size is another feature appealing to our customers,” said Sanderson, who is a strong advocate for the performance and reliability of Genie products.